The ASSR-1228-002E is a Standard Solid State Relay with DPST-NO contacts and through hole terminals. This ASSR-12-series 2-form-A relay (Photo MOSFET) with an AlGaAs infrared light-emitting diode (LED) input stage optically coupled to a high-voltage output detector circuit. The detector with a high-speed photovoltaic diode array and driver circuitry to switch on/off two discrete high voltage MOSFETs. The relay turns on (contact closes) with a minimum input current of 3mA through the input LED. 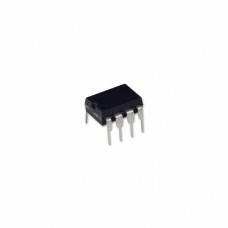 The relay turns off (contact opens) with an input voltage of 0.8V or less. The dual channel configuration is equivalent to 2-form-A electromechanical relays (EMR). Their transient immunity of more than 1kV/µs and excellent noise rejection between input-output as well as between open terminals on the output will laminate undesirable transient effects.